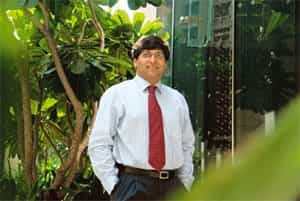 The managing partner of Baring Private Equity Partners India Ltd, Rahul Bhasin, embarked on an organizational revamp four months ago. “The transition has been difficult but essential to face a hyper-competitive market," he said in an interview. The private equity firm has witnessed several high-profile departures in recent months. Cofounder and managing director Subbu Subramaniam and Akhil Awasthi, another managing director with the firm, quit in August and October, respectively. “No one likes change," Bhasin said. How did you go about the organizational revamp? So, we started with a formal skill-set mapping of every person in the team. We did a 360-degree feedback of people within the team, our portfolio companies and our internal staff. We redefined jobs. We now have specialized people performing specialized roles... We defined every aspect of our business to see how we could be the best in class. What about your talent strategy? We got back Ajith Singh Karan, who grew All Out (a mosquito repellent brand) from Rs50 lakh to Rs100 crore in less than five years. We have Munish Dayal (partner) for banking and financial services, Ajith Singh Karan for consumer practice, Karthik Ranganathan for energy and infrastructure, Rohit Raman for media and Keshav Mishra for growth of portfolio companies. I personally look at the IT (information technology) practice. We have 17 people and we are looking at crossing 20 in three months. The good thing is we are attracting a lot of very senior talent. We have also partnered with several companies who do market research, incentive alignment, HR (human resource) for us and our portfolio companies. So, everybody is doing what they are good at. Do you think this exercise took a long time? Has the revamp been easy? Nobody likes change. It disturbs a nice status quo but the environment has changed. If we were still eight funds in the country, I don’t need to change anything. We are over 300 funds in the country now. We are not growing at 9.5% any more. And, if I have to meet my cost of capital, which is not coming below 25%, I have to raise the bar. What kind of improvements have you noticed with these changes? I think our deal flow, response time to market and growth in portfolio companies have improved dramatically. How do you ensure returns in this environment? What gave returns in the past was underlying growth in businesses. So, if you picked your companies well and added some value, you enjoyed phenomenal returns as a consequence of a very benign environment. Now, growth has got muted for several reasons. Our investment hypothesis has to improve dramatically for us to make money when macro-growth is not there. Our ability to understand how industries will evolve, consolidate and look like in five years has to improve dramatically. For that, we need to scale our people, train them and get the best possible talent. You are sitting on $600 million of uncommitted capital. When is your next investment coming? We have four transactions at the diligence stage. These are in the consumer, infrastructure, energy and banking and financial services segments. Would you continue to look at majority transactions? What about exits? Yes, because it (majority transactions) ensures alignment of interest, exits and corporate governance. A few exits are in the pipeline. We actually sold our stake in GITT (Gi Terminal i-Tech Pvt. Ltd, a Chennai-based online gaming solutions company). My cost of capital is 25%, compounded. If I can earn more than that, why should I exit? The growth rates expected from the company are way higher than that.